Of the last 18 Relays for Life, Vern Hodgins has been involved in 17 of them. 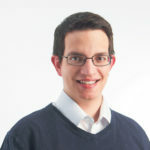 He walked in the first event, and a few others, but mostly he helped plan and organize the annual fundraiser. Saturday was a little different. This time, Hodgins was at the front of the pack, carrying the banner for the survivor’s walk. It was his first time being on that side of the iconic moment. Hodgins had his surgery just five weeks ago. While the survivors’ lap has always held meaning for him, this year’s meant more than ever before. 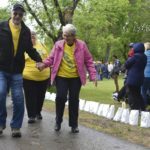 That same impact was likely felt by the 155 other survivors, all dressed in matching yellow t-shirts, who followed the banner around Kinsmen Park for the first lap of the 2018 Prince Albert Relay for Life. 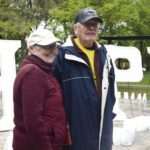 Despite the cold and the rain, 15 teams consisting of 140 walkers came out to raise $62,606 for cancer research and to share a message of hope. 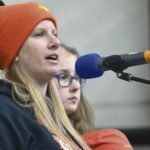 The face for that message, this year, was 17-year-old Chelsea Mitchell. Mitchell and her family were the honorary chairpersons for the 2018 event. Before the survivors’ lap got started, the Mitchells took to the stage to talk about their journey with cancer. Chelsea was diagnosed with acute lymphoblastic Leukemia (ALL) in 2013. She did three rounds of chemotherapy over eight months. When Chelsea didn’t respond to the chemo, the Mitchell family packed up and moved to Calgary, where Chelsea was to receive a stem cell transplant. After the transplant, and radiation and more chemotherapy, Chelsea was cancer-free. Four and a half years later, she still struggles with some of the after effects of her treatment. 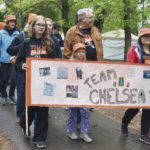 “Our family, like many families, has had many ups and many downs, but we feel very blessed Chelsea has beaten it,” said Chelsea’s mom Shelley Mitchell. As honorary chairperson, Chelsea got to cut the ribbon to start the relay, and she walked the first lap just behind Hodgins. “It felt really good to be starting it,” she said. While the theme of the day was hope, there was still the important acknowledgement of all who have been lost. The Mitchells didn’t just walk to celebrate Chelsea’s success. They also walked to remember someone who wasn’t so lucky. “Mason Gariepy, this is for you,” Shelley said before her daughter departed for the survivors’ lap. 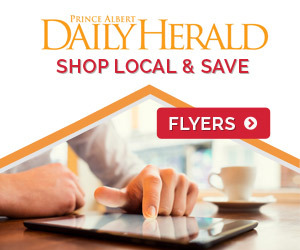 Mason was a seven-year-old boy from Prince Albert who also battled leukemia. However, unlike Chelsea, who had ALL, Mason was diagnosed with acute myeloid leukemia, or AML. It’s rarer, and has a lower survival rate than ALL. 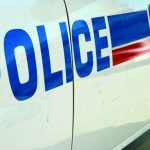 “He also went to Calgary for a transplant,” Shelley said. Other participants walked for others who had lost their battles to cancer. 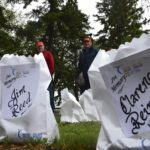 The names of those loved ones lost were written on the side of the luminaries that lined the walking path where the relay participants walked their lap. 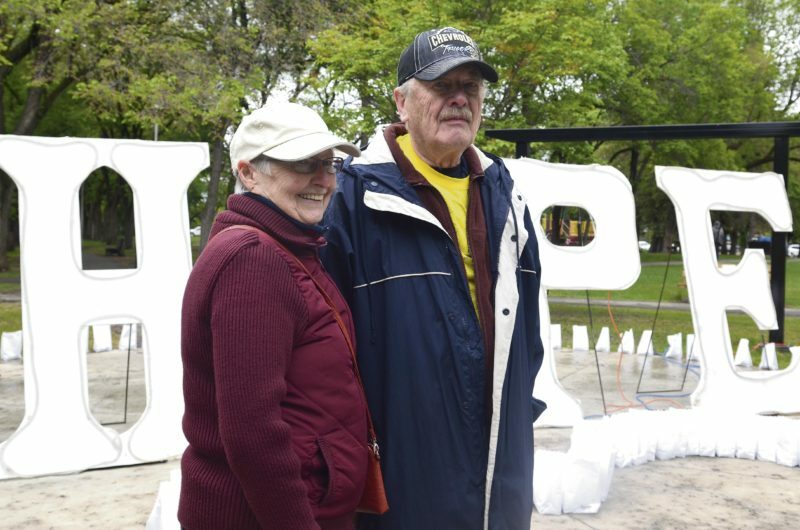 A total of 627 luminaries were purchased in honour of someone who lost their fight with cancer. But even though the event remembered those who didn’t make it, that message of hope still remained intact. 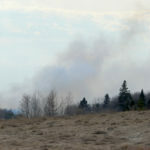 “It’s amazing,” Shelley said. “It’s hope. 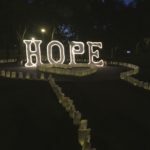 Exactly what the big luminary ceremony will be about today, it’s hope.